Map (from Wikipedia) – A map is a visual representation of an area—a symbolic depiction highlighting relationships between elements of that space such as objects, regions, and themes. 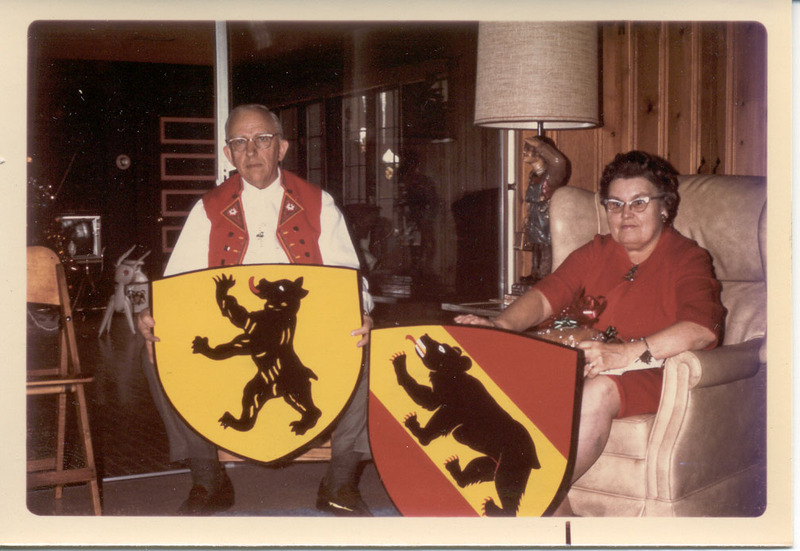 From Christmas nearly forty years ago – these shields are the cantons that my grandparents came from. My grandfather was a Swiss immigrant; my grandmother’s father was also. My joke was that growing up, I thought everyone’s grandparents spoke with thick accents. My grandmother did not, but my cousins other grandparents did, my schoolmates grandparents did – my church even had German services until I was nearly out of grade school. The word for tomorrow is WEIRD. That should be fun! Wow, I loved it. That was gorgeous!